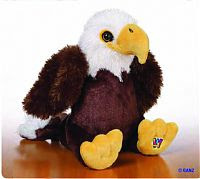 This webkinz eagle is new and shows strength. Eagles are naturally born leaders and very brave. They love helping their friends. This is a eagle that will watch over you and would love to become a part of your family.